Now there’s something you don’t see everyday. A Honda Civic pulling a trailer with 2 dirtbikes on it. Who needs a gas sucking behemoth here on flat Long Island to shuttle their bikes around? Love it! 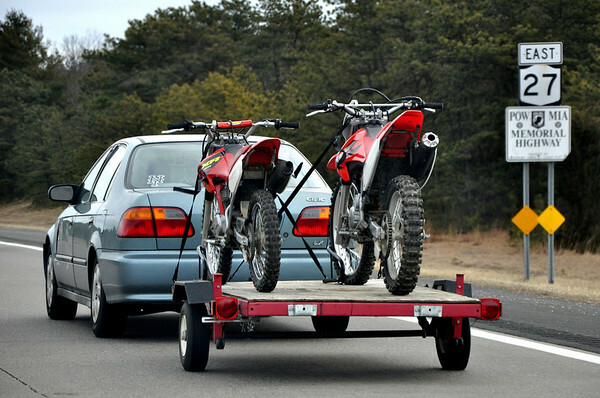 This gives me hope for my Honda Accord and taking some MX bikes out for some fun. Always wanted to.